The foreign direct investment (FDI) is skyrocketing with the globalizing world and hundreds of millions worth cross-border investments are initiated across the world every day. This article intends to discuss the legal protection for these foreign investments. National laws of some states intend to protect foreign investments as it can help to develop the local economy but the primary problem is the process of arbitration for recovering losses. With the establishment of the International Centre for Settlement of Investment Disputes (ICSID) arbitration, the companies and international business lawyers can address this issue efficiently. For example, Company X starts the business in the USA and over time decides to expand overseas. Accordingly, they decide to start an operation in a completely new jurisdiction with its own laws and regulations. Their investments are poured into this new company and their operation was very successful. Nevertheless, the usual problem for Company X will be getting into a dispute with another company in the same territory. Hence, if the company X has a dispute with company Y, there will be an arbitration Tribunal conducted in order to solve the dispute. However, if company X got into a dispute with a government agency or government entity, the matter cannot be referred to an arbitration Centre as there is no arbitration agreement or direct contract between that country government and the company X. To address this issue, Investment Treaty arbitration was implemented by international lawmakers. In a commercial arbitration, there should be a dispute and an agreement to initiate the Tribunal under an international arbitration Centre. In contrast, investment Treaty arbitration has the foundation of an international investment Treaty signed by multi-nations or a bilateral Treaty signed between two agreed countries to protect foreign investments. Historically, there are many bilateral treaties (BIT) signed between two states within customized treaties to protect their special interests. These treaties are basically intended to provide protection to foreign investments. Specifically, these treaties aim to establish a strong procedure for recovery of financial values and properties, protect assets of the foreigners, to establish most favored nation treatment policy, and national treatment protection for the foreign investments. The reluctance of the investors on investing in a foreign nation has reduced significantly, with the addition of a double layer of protection from international law. World Bank led the implementation of a multilateral Treaty to succeed their core objective of promoting international investments. Unlike the international arbitration institutions, the establishment of the ICSID Centre was carefully designed to separate political influence from the procedural laws, for the reason of the many nations, which will be a participant to the disputes. Also, the scope of work of the ICSID extent to state-state disputes as well. The involvement of the monetary value in these disputes are very high and therefore it was essential to establish perfectly designed procedural laws to address these disputes. Similarly, the enforcement mechanism of an award was the second stage, since countries might play the role of defense. Simply put, the procedures must be designed more carefully since states have the full power over the executive, parliamentary, and judiciary institutions to prevent the execution of an award within their own territory. On the other hand, the difference between the two parties is that the reputation of the states are very high and they value their diplomatic relationship with the involved nation. Therefore, the Tribunal must defend the interest of the states involved, to the best of its efforts. So to protect the reputation of the parties, the ICSID has designed to form a special arbitral Tribunal or committee to consider each matter with special care. Later, an experienced ICSID team will provide guidance and assistance to settle the matter amicably. There are hundreds of pending cases involving different states, which might not have been addressed if not for this Convention. Some of the interesting pending disputes include a leading electronic company’s dispute against a leading gulf nation. This case involved an electric power generation project registered in 2017. This example elaborates the high level of cases that are involved with the ICSID Tribunal. The governing body of the arbitration institution is the Administrative Council. It is composed of a representative from each state who has ratified the Treaty. Their preliminary powers include decision-making rights in relation to the budget, implementation of rules and regulations for the institution, and appointment of top-level administrative positions. This counsel gathers every year for discussions and each member holds one vote with regard to the decision-making process. The seat of the office is the Principle of the International Bank for Reconstruction and Development (IBRD). 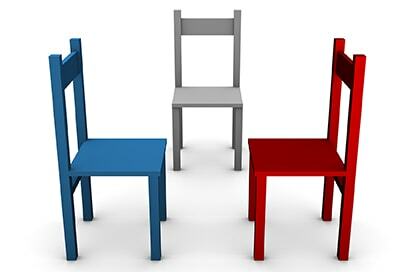 If a party requires the seat to be moved to another place, they may do it by applying to the administrative council. The four main pillars of the center include the panel of arbitrators, administrative counsel, secretariat office, and a panel of consolidators. The administrative counsel formed by members from each contracting country. The jurisdiction of the Centre extends to any disputes in relation to foreign investment between a contracting state and a national of another state. The state, in this regard, is not only limited to the state government but also considers any subdivision or agency under the relevant government. Chapter 3 Article 25 of the regulation stipulates on this and legal experts appreciate this careful drafting of the concerned article since participating nations has all the powers to find a solution and escape from the awards. Similarly, the states are also empowered to question the link between the jurisdiction of the matters or prove that there is no link between different government-owned agencies and entities within the government itself. For example, if a taxi company invests their money in a different state and if that state’s municipality imposed a high tax or a different set of regulations for only this taxi company, this can be considered as the breach of investment protection under the international law and the same may be submitted to the Tribunal. Any government agencies or government entity involved in this regard will be considered as the state for this matter. Parties requesting for arbitration from the Tribunal. Registration and review of the request for arbitration. Establishment of fundamentals like the number of arbitrators and their appointment method. The first session starts followed by the written and oral procedure. Article 42(1) of the Convention provides the parties with a broader discretion to decide the laws applicable to the dispute. Flexibility in procedural rules is a fundamental nature of international arbitration. Usually, the parties to the process select the seat, applicable laws, procedural laws, arbitrators, and many more in a general arbitration Tribunal. Following that, the ICSID Convention also has implemented a broad article under 42(1) of the Convention, to select an applicable law as well as exclude some provisions of the same. Thus, the Convention effectively provides the parties with the complete authority to design their own arbitral Tribunal. However, selecting the national law is a difficult task for the parties as it is a selection between host state law and investor’s state law. According to the ICSID Convention, if the parties had failed to mention the applicable law in the agreement, the state’s (party to the arbitration) law shall be applied to the Tribunal. This will include the country’s dispute resolution along with international laws. One of the fundamental reason to establish international arbitration is to reduce fees and time. However, the purpose of establishing ICSID arbitration was to protect foreign investments. The nations or big investors participating in these Tribunals may not hesitate to pay a fee to solve their million dollar problems. Chapter 3 Regulation 14 of the institutional law provides guidance in relation to the direct cost of the individual proceedings. Which stipulates that the parties must bear the cost of the participants, like the arbitrators, to the process. Each day’s fees including eight hours of working plus any additional hours of work must be paid accordingly. The amount is determined by the secretary, with the approval of the chairman. This is to keep a check and balance, with regard to, the payments received by the participants. The secretary is also vested with the duty to make an estimation of the Tribunal’s expenses for a period of three to six months and present the same to the parties for an advance payment. Another important duty is vested with the Secretary-General, which is the maintenance of a list of contracting states. Under Regulation 20, the office has to keep all the updates related to this matter, including the states in which the Convention has entered into force, list of excluded territories, regulations related to enforcement of the award, etc. The enforcement of an arbitral award from the ICSID arbitration can be enforced using the ICSID Convention (1965). As discussed, this Treaty has been founded to encourage enforcement of the foreign arbitral awards. However, there are instances where the judgments are proceeded through a correction process, especially concerning the correction of the facts or the law. The parties can request for a revision process if new facts concerning the case are found and which parties had no knowledge of when the final award was granted. However, the Tribunal requires such an application to be made within 3 months from the discovery of such facts. The practical implementation of Tribunal’s awards in a state is secured through Article 54 of the ICSID provisions. By agreeing to this provision, parties have agreed that they will recognize and enforce the Tribunal’s awards as if it is a final judgment of the concerned state courts. The importance of ratification of this clause is because the enforcement must be done by the local state entity. They will have no option but to enforce the complete award since the award must be considered similar to local judgment. This gives the investors the utmost trust about the system of arbitration under this institution. They can rely on this institution for the safety of their investment, as well as, the enforcement of a judgment against a state. That the Tribunal was not constituted properly. The Tribunal has manifestly exceeded its powers. That there was corruption on the part of a member of the Tribunal. That there has been a serious departure from a fundamental procedure. That the award has failed to state the reasons on which it is based. These are the valid reasons a losing party can apply for a revision or any other similar procedure. These points are almost similar to Article 5 of the New York Convention for the enforcement of an award. First reason under the ICSID Convention primarily questions the Tribunal’s constitution. For example, the governing law of the Tribunal must be according to the agreed governing law. A Tribunal or arbitrators must not exceed its powers. For example, if the Tribunal was constituted to address the investment dispute between a state and investors, that Tribunal only possesses the power to resolve the concerned dispute. Thirdly, if an arbitrator gets involved in the act bribery or has acted in a way that favors one country or party, then the Tribunal’s award can be questioned using article 52 (1) of the Convention. Finally, the arbitrators have the duty to inform the parties about the reason for the award. It is mandatory unless otherwise agreed by the parties. Therefore, these objections are very fundamental and within the boundary of international arbitration principles on the objection of an award. On the other hand, it is carefully designed, thus, not providing much room for the participant state to delay the enforcement of an award. For example, if there was an appeal system, the country states might have always used that and appeal the dispute in order to drag the matter for several months or years, and the investors’ investment in the market will be dead by the time final enforcement enforced. Therefore, considering the nature of disputes and the background, the Convention has limited the objection to only the fundamental level. The usual method of dispute resolution for the disputes between states to state is the International Court of Justice. The Convention has supported this method, by referring the disputes to the International Court of Justice if they cannot be settled under this system. This only applies with regard to state-to-state disputes and the parties may choose an alternative method if they wish to do so. Overall, the Treaty and arbitration Centre protect the interests of investors with a procedure, as well as, an enforcement mechanism. The Treaty and the Tribunal encourage foreign direct investments and help the global economy.